Marianna is the county seat of Lee County, located along the L’Anguille River, as well as the Crowley’s Ridge Parkway and Great River Road and is located approximately 100 miles east of Little Rock and 50 miles southwest of West Memphis. The town was originally established as a trading post along the L’Anguille River. Marianna was incorporated in 1870 and serves as the county seat of Lee County which was incorporated in 1873. The first several decades of existence, Marianna was a thriving river town, however as railroad transportation became more accessible, traffic on the L’Anguille and St. Francis Rivers declined, leaving Marianna’s economy to depend on agriculture and timber. With the area being surrounded by fertile farmland and hardwood forests, the city continued to grow. 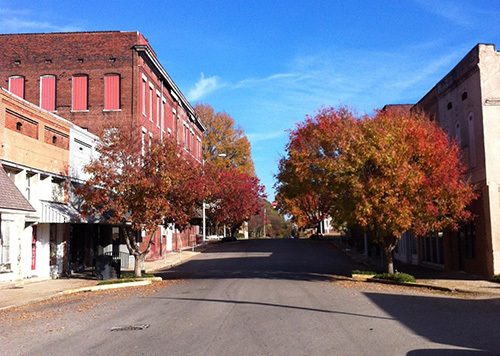 Marianna’s downtown is now a National Historic District and holds eight listings on the National Register of Historic Places.